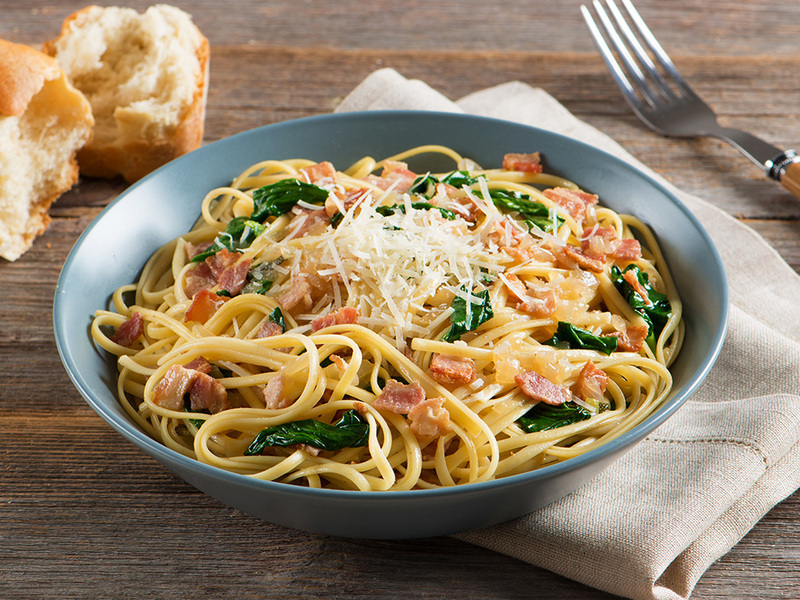 Impress your dinner guests with this quick, easy and flavorful dish! Penne Rigate pasta made with a blend of 100% whole wheat and the time-honored grains: Quinoa, Amaranth, Millet, Sorghum and Teff. 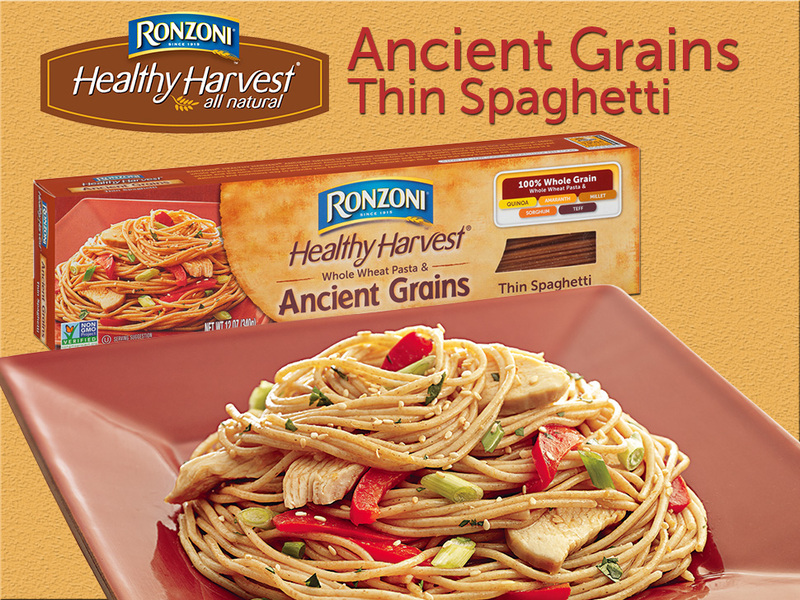 Ronzoni® Healthy Harvest® Ancient Grains is a delicious and nutritious way to provide your family whole grain goodness in a pasta they'll love to eat. 100% Whole Grain. 100% Delicious. 100% all natural and made from a single ingredient, 100% whole wheat. 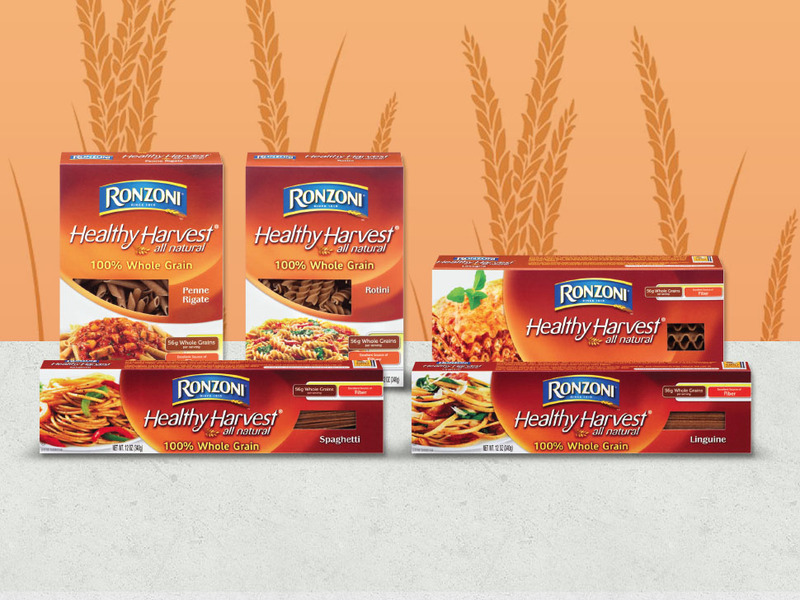 With an excellent source of fiber and 56g of whole grains per serving ... the delicious flavor of Ronzoni® Healthy Harvest® is the perfect complement to your favorite pasta recipes. Thin Spaghetti pasta made with a blend of 100% whole wheat and the time-honored grains: Quinoa, Amaranth, Millet, Sorghum and Teff. 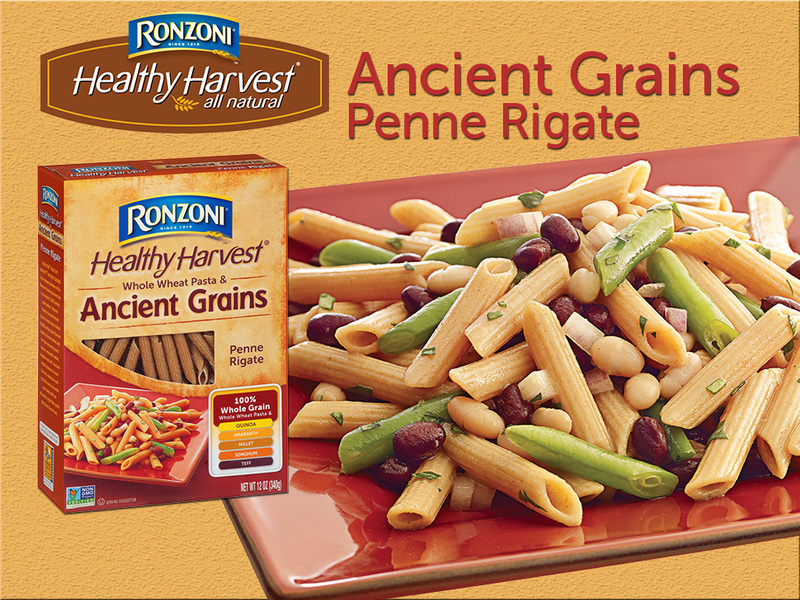 Ronzoni® Healthy Harvest® Ancient Grains is a delicious and nutritious way to provide your family whole grain goodness in a pasta they'll love to eat.